The Last Date for Online Registration comes on March 2019 (20.03.2019). The Candidates, fulfilling the Eligibility Criteria for Admission into Master of Education (M.Ed.) 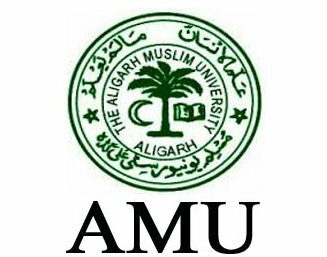 Course Offered for the Academic Year 2019 – 2020 in Aligarh Muslim University (AMU), may Apply Online. Aligarh Muslim University shall Release the Admit Cards for the Candidates appearing in the Master of Education Admission Test 2019. The Office of the Controller of Examinations will upload in the University Website the e-Admission Certificates for the Candidates. Even as the Candidates would be able to download the M.Ed. Admission Test Hall Tickets from Aligarh Muslim University Website, We look forward to the Controller of Examinations to Upload in the University Website displayed in the Later Part of this Information Bulletin. None of the Candidates, in the absence of the e-Admittance Tickets, shall be granted Access to fare M.Ed. Admission Test / Departmental Test 2019. The Office of the Controller of Examinations shall Upload in AMU Website in due course of time. Part I consisting of i) Reasoning and ii) General English shall comprise 20 Objective Type Multiple Choice Questions and 20 Marks each Totaling 40 Marks based on AND Part II Based on Core Paper consisting of i) Fundamental of Educational Philosophy and Sociology, ii) Educational Psychology, iii) Current Problems of Indian Education each comprising 20 Objective Type Multiple Choice Questions and 20 Marks each Totaling 60 Marks. The Office of the Controller of Examinations, based on the Candidates’ Individual Performance and Sufficient High Marks Obtained in AMU M.Ed. Admission Test 2019, shall draw up Merit List for Admission followed by Interview / Group Discussion / Counseling for Allotment of the Seats in Aligarh Muslim University. Log into Aligarh Muslim University Website for M.Ed. Admission Test e-Admit Card Download.